I LOVE TO EAT! Today i will be writing about my review on Taste Paradise.
" Listed as one of Singapore’s Top 10 Chinese Restaurants, award-winning Taste Paradise prides itself as a strong upstart in Chinese fine dining. Dubbed ‘Chinese cuisine with a difference’, Taste Paradise offers an elaborate menu of fine Cantonese and contemporary Chinese cuisine with a showcase of the finest and most innovative Dim Sum and roasting fare. Taste Paradise features exquisitely prepared creations with a touch of sophistication. 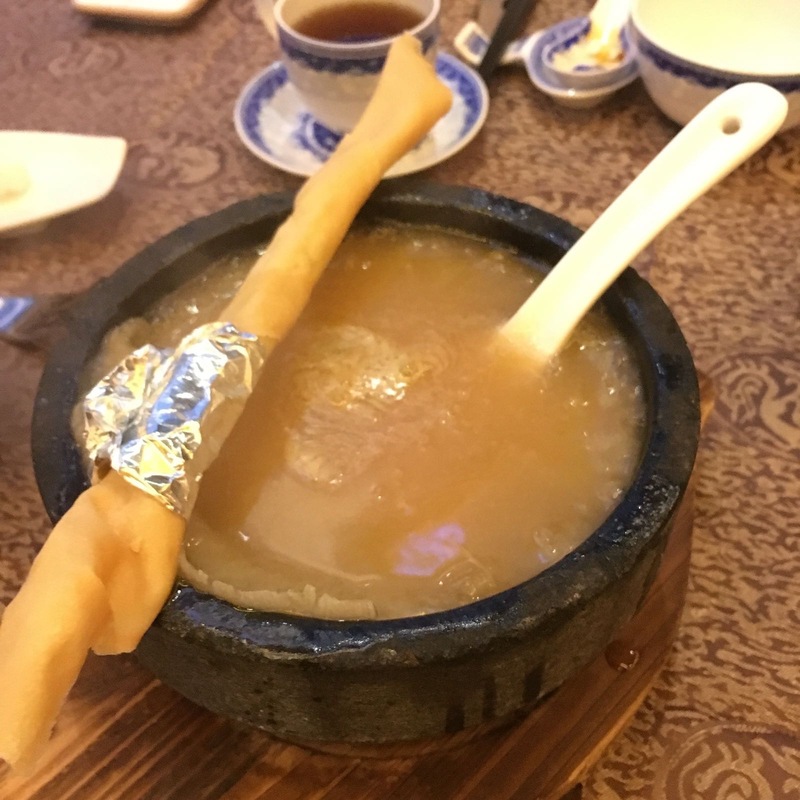 One of the signature dishes is the Classic Shark’s Fin in Supreme Broth accompanied with a Crispy Spring Roll served in Japanese Stone Pot. 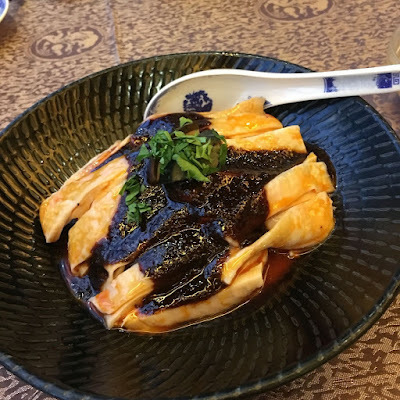 This truly renowned dish has set a benchmark for shark’s fin dishes in the new era. Other creations include Crisp-fried Tofu in Black Truffle Sauce and Pan-seared Foie Gras with Peking Duck Reduction. 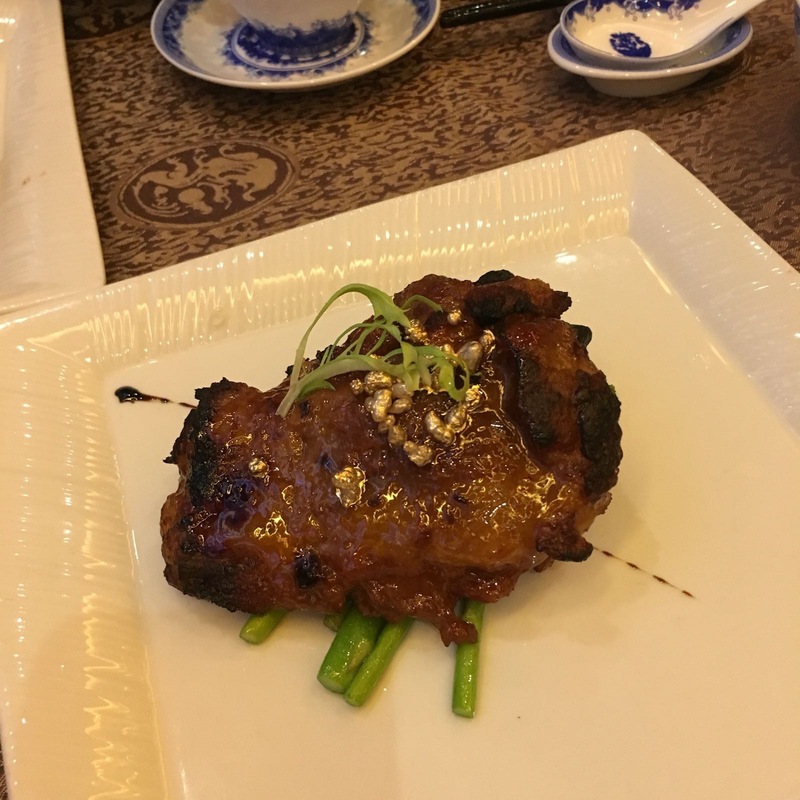 It’s a traditional Cantonese cuisine infused with modern twist. Taste Paradise is also famous for its XO Carrot Cake which has won 100 pointers from multiple food critics. Set in the opulence of ancient elegance, Taste Paradise is set to impress guests from the very moment they step into the restaurant. " L. Without further ado, let me start with the first dish! Did you just thought that this pork rib would have that slightly hard texture like the ones you eat in typical S-11 western food stall? Turns out the texture was so soft and easy to bite!!! It kind of melts into your mouth when you take a first bite. There are a lot of effort put into cooking this spare rib, from what i heard from the chef. Why did i give 4.8 and not a 5 then? Did you see those little golden balls on top of the spare rib?? First glance i thought it was really gold. So atas... No wonder its $24. When i eat the 'gold' balls, the taste was completely bland. It is exactly those decorations that you would put on cupcakes. You know what i mean? The presentation looks more attractive with a hint of gold, but it brings down the overall taste and experience of the dish. 多此一举. But overall, i will still give a 👍. Order this when you come to taste paradise. And try the gold balls if you don't believe me. The rice was soft, fragrant and tender. The crabs were fresh. 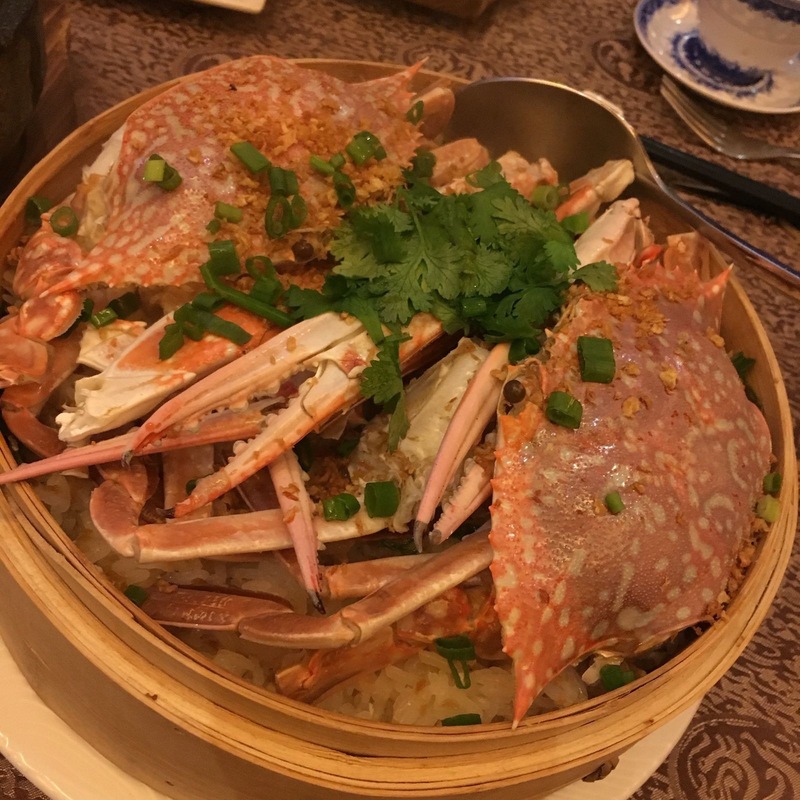 Looks like a simple steam rice with crab but so much efforts are put into it. The idea of the presentation is very cool too. It makes the whole dish look so appetising! 我给个赞👍 . Where does the -0.1 mark comes from? Once cold it doesn't taste as nice as while eaten hot. But i can deal with that! It really doesn't matter haha. Let me tell you something. Taste Paradise serves one of the best soups around all the Chinese restaurants that i've eaten. Their soup is really 👍👍👍👍👍. In their big cooking pot, 65% is their ingredients and around 35% is their water. And boil for very long hours. Superb. Normally people put 35% ingredients and the rest is water to save cost. Back to this shark's fin soup. It is one of the SIGNATURE DISHES. Soup was amazingly cooked and they were creative in adding a crispy spring roll to pair with the soup. You can dip the spring roll into the soup and eat it. Just like eating You Tiao with porridge. If you are in Taste Paradise, definitely try this out. However, i just want to quickly comment on something. Having this as signature dish? Hmm... I think a lot of people are saying NO TO SHARK FINNING. To protect the sharks and the ecosystem. I'm not really sure if its really a good idea to have this in the menu in the long run? In terms of brand value? 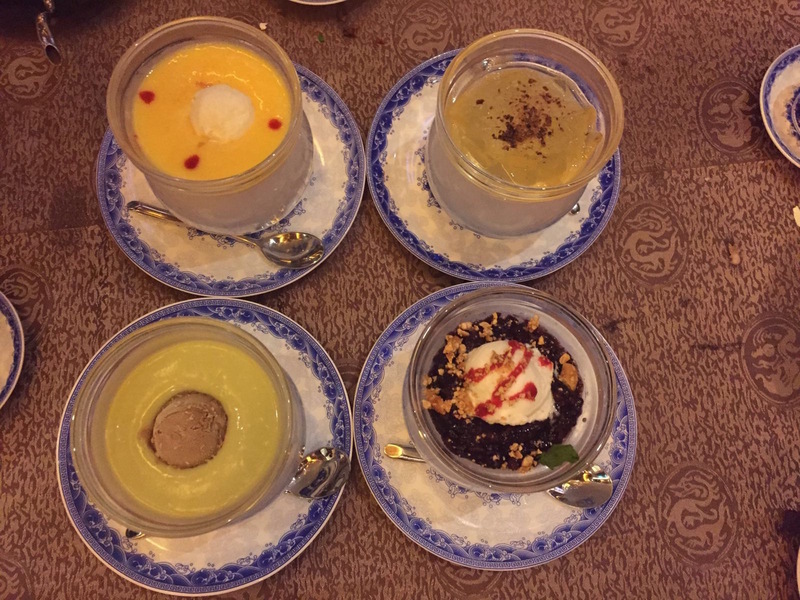 Which dessert would you choose? I go for the Avocado Puree Coffee Ice cream! It is my first time eating avocado with coffee. lol. Great experience. It got me thinking that i can pour in some coffee into my avocado smoothie next time. All the desserts were flavourful and delicious! I think slightly lacking behind is the glutinous rice. I trust my boyfriend's father can make an even nicer glutinous rice than them. Aloe Vera lemongrass was really refreshing because it has a sour and sweet taste in it. Overall, i give a 👍 ! That sums up my review. Actually this wasn't the first time i'm dining in Taste Paradise but i just feel like doing a review on this restaurant since i've never posted one before. The overall experience is really good and you get very good view inside the restaurant too. Have you dine in Taste Paradise before? Feel free to share your comment.